The rumors were true: Blizzard has announced a brand new game during its opening show today at BlizzCon. Overwatch is a competitive team-based FPS centered around capturing control points, featuring a near-future superhero vs. super villain theme. From the trailer, it reminded me quite a bit of Team Fortress 2 in its presentation and objectives, but the individual characters varied heavily in gameplay, ranging from a bow wielding wall climber to a giant intelligent ape to a dual-wielding gunslinger to a robot that can make himself into a turret. As for a release date, all Blizzard would tell us about was a beta coming in 2015, but it ishosting a panel on the game at 12:30 p.m.PST today where we'll dig up as much info as we can. 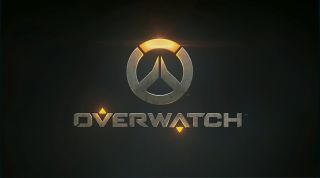 Additionally, Overwatch will be available to play on the show floor on a whopping 600 machines, so we'll be sure to give it a spin and tell you what we think later this weekend.